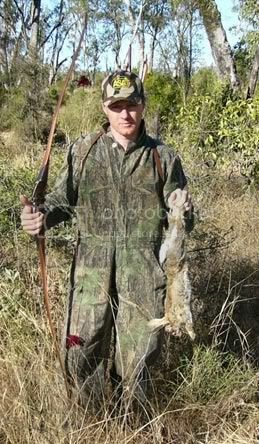 Shot with my Newell "Defiant" longbow west of Moura in central Qld a few years back. Still got that bow Luke.? No mate.  I gave it to a good mate who only shoots trad. I wasn’t using it and it deserved to be in the Bush instead of collecting dust under my bed.